Gyara is a new literary journal for you to submit your work. The new literary space is looking for creative non-fiction, book reviews, memoirs, essays and interviews while also training editors to manage it. A few months ago whilst at the Mboka Festival 2018, this blogger had a chat with poet, novelist, publisher Nii Ayikwei Parkes who introduced him to his newest project “Gyara.” This new literary journal would be a space for writers who want to showcase their work to the world. The journal asks that you submit non-fiction, book reviews, memoirs, essays and interviews. The first one will be under the theme “Change” from a range of perspectives and the focus will be on nonfiction. The second will focus on poetry/fiction while the third will be a hybrid of all the forms. You can make your submission here with the deadline for the first one being May 31, 2018. The new journal has a double use though. Seeing as Gyara means “correction” or “adjustment” in Hausa it isn’t only giving a space for writers to shine, but also a breeding ground for the next generation of editors. 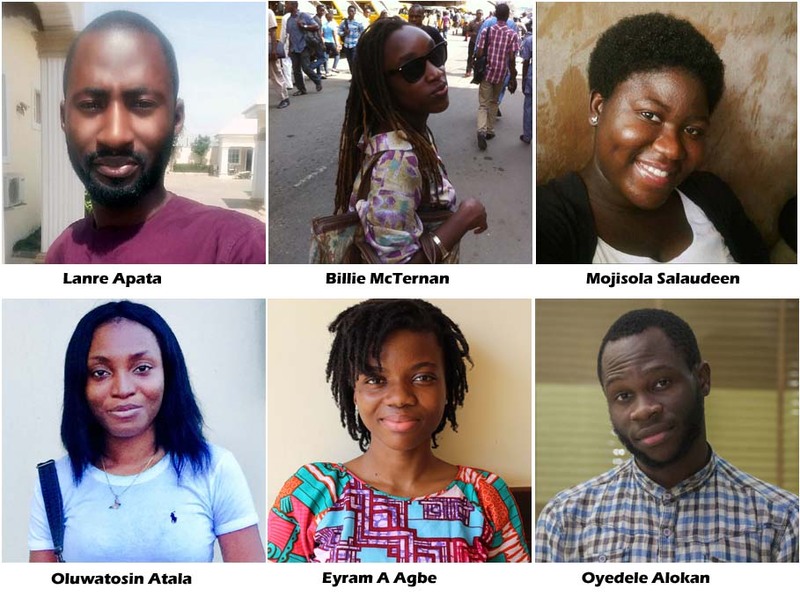 The six trainee editors who will be editing the journal over the next few months from Ghana and Nigeria are Mojisola Salaudeen, Lanre Apata, Billie McTernan, Oyedele Alokan, Oluwatosin Atala, and Eyram A Agbe. Their training process included guidance notes on editing with contributions from the likes of Jeff Shotts at Graywolf Press, Clare Hey at Hachette UK, Laure Leroy of France’s leading independent publisher, Éditions Zulma and Jacoba Casier of Harper Collins, Netherlands. The newest super editors in town were kind enough to share what they have learnt from the Gyara training process. Finesse is not just a word. It is the immersion of balance and beauty in the crude state of any subject worthy of appreciation. The statement above captures my experience with Gyara, bearing the nuances and the evolution of my continent’s literary space in mind. My involvement in Gyara – a call to read and read – is an eye-opener as I have come to see editing beyond syntax. I now fact-check while establishing logic and coherence in contents without disregarding originality. This also validates the fight for quality in writing in a society where contents are casually pushed out for consumption. With Gyara I’ve been looking forward to working on editing poetry in particular, and – though I already edit other types of writing professionally – I’ve really enjoyed the challenge so far. I’m interested in the way poetry can be presented in longer forms of writing. I hope that with time I’ll be able to work with poets and other editors in sharpening their skills in the craft and create exciting forms of literature. Shakespeare had an editor. Someone who shouldn’t have allowed him kill off both Romeo and Juliet but otherwise irreproachable. Editors may not be perfect but their importance cannot be overlooked. I realized this a few months ago when I read a book for the first time. I could have sworn I’d read thousands of stories, articles and poems but since starting editor training with Gyara, each line and paragraph has taken on its own life and importance and I feel and taste these pieces in a way that’s completely new to me. I’m learning how editors work with writers to vividly say what the writer yearns to say and to breathe life into the body of writing that is created. Hence my previous claim that Shakespeare, with such well-structured plays, probably had an editor. And what an amazing thing for me to be metamorphosing into one. Amplifying voices from the continent has never been more important. My journey from merely reading to analysing writers’ choices and learning how to work with them in their own contexts has been insightful, even though it has only been a few months. Being involved in the Gyara project with writers and literary enthusiasts from around West Africa has elevated and challenged my boundaries and expectations of art. The realities of publishing worldwide mean that we need to understand our own art and also establish structures to market and catapult them into the larger community of literary work. These guys are phenomenal in the realms of literature, the sky is your limit, thump up! Previous Previous post: South African protests lead to Rutanang Book Fair 2018 cancellation. Next Next post: Momtaza Mehri, Theresa Lola, Hiwot Adilow are Brunel African Poetry Prize 2018 winners.